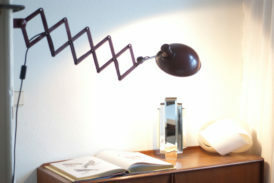 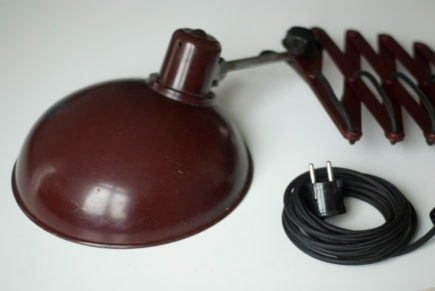 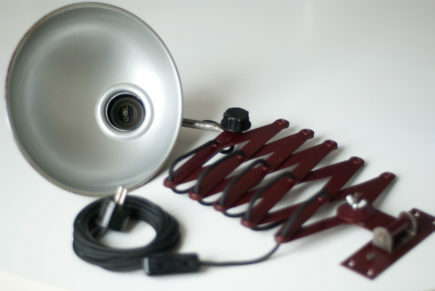 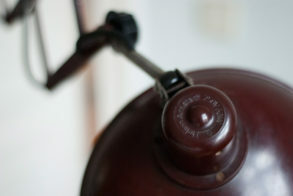 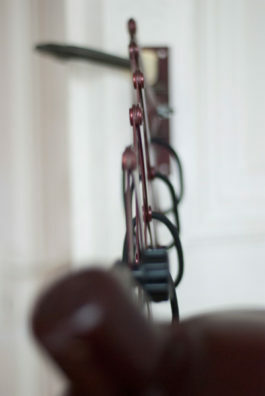 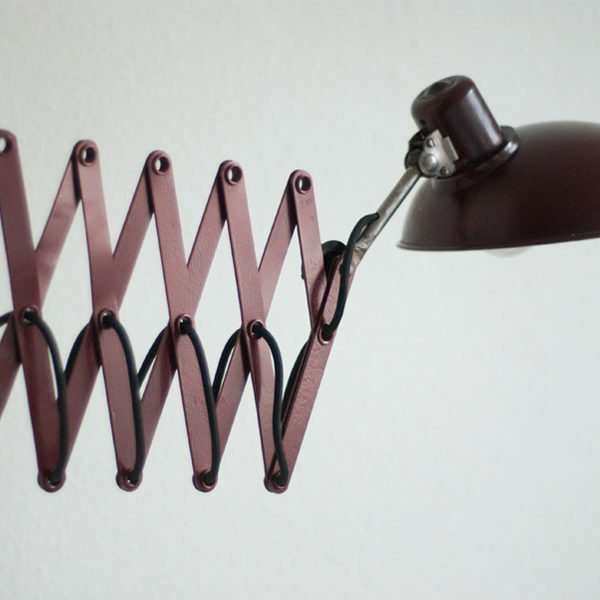 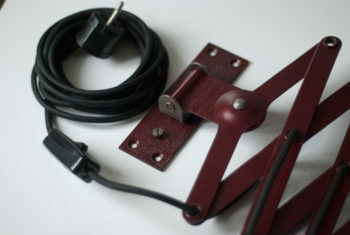 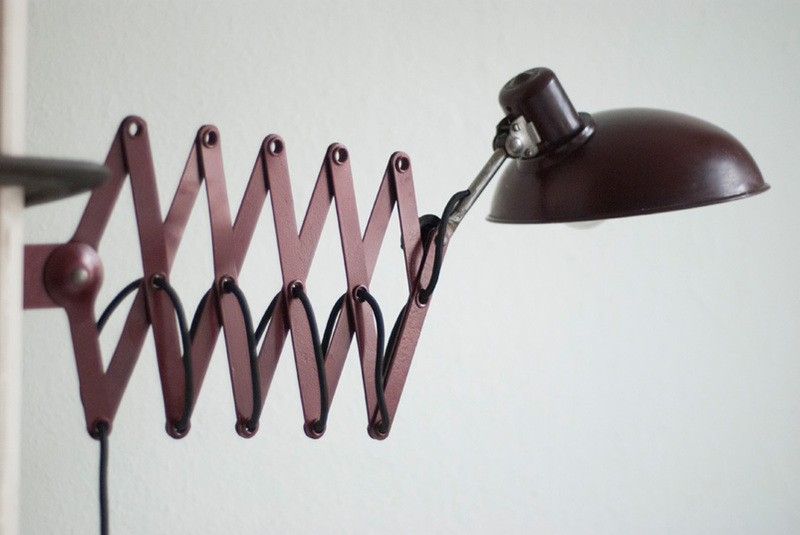 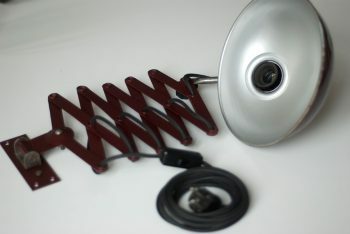 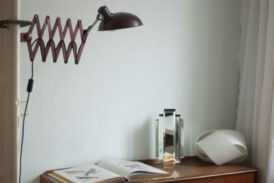 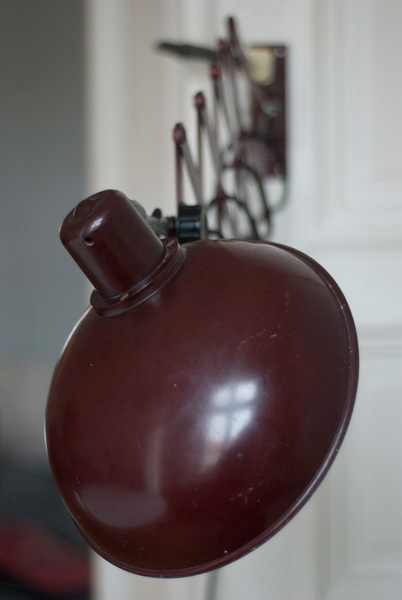 Helion big burgundy wall lamp with a wide bakelite shade. 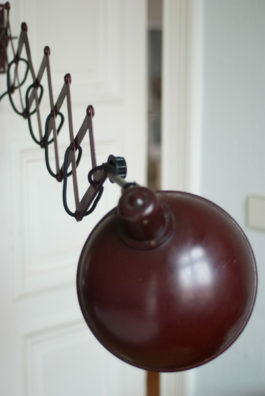 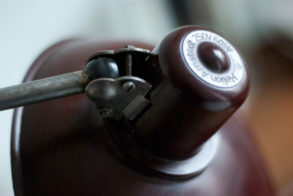 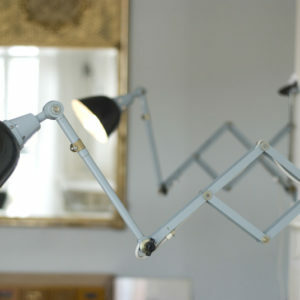 After the thorough dismantling of all elements, the lamp was cleaned, painted and rebuilt again. 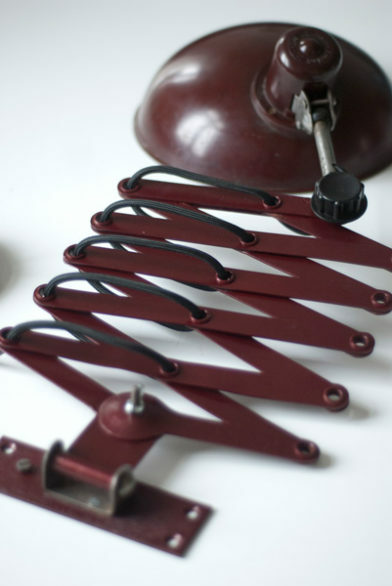 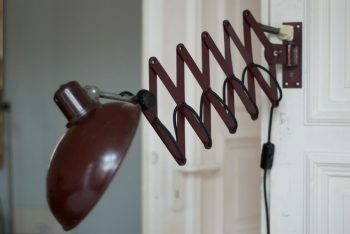 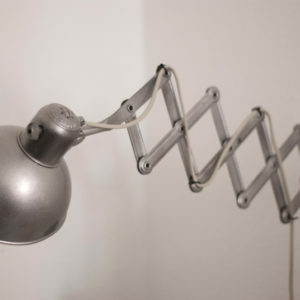 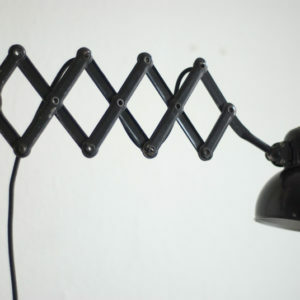 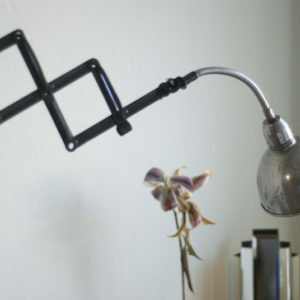 The scissor has a noteworthy light patina and is slightly bent, what doesn’t disturb the mechanical system of the lamp, that functions fine.